In the days before women had the right to vote, one of the most powerful players in Hollywood was a diminutive blonde with corkscrew curls. 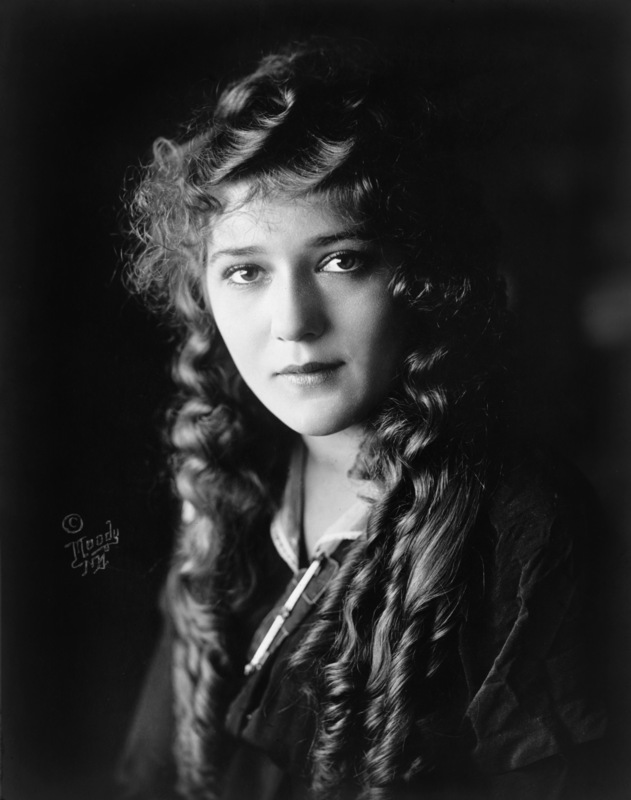 Mary Pickford began her career appearing in “flickers”, short films shown in Nickelodeons where the actors were merely considered hired help. They weren’t given any billing at all and earned next-to-nothing. However, by 1916, Pickford was not only one of the first major movie stars; she was also one of the most famous women in the world. Canadian native Mary Pickford, born on April 8, 1892, in Toronto, Ontario began her career in 1909 working for the Biograph film company in New York City under the direction of pioneering director D.W. Griffith. She joined Famous Players in 1913, which later became Paramount Pictures. During this period, Pickford began to make feature-length films, and by 1916 she was making $2,000 a week plus a $10,000 bonus for each complete film. This doesn’t sound like a lot, but when adjusting for inflation the totals were about $47,000 per week and about a $235,000 bonus per movie in today’s dollars. Even still, Pickford knew her worth and understood that, while she was making great money, the studio was paying her a pittance compared to what they were raking in from her pictures. No-one at that time was playing the poor but principled heroine with the same approachability and believability as Mary Pickford, and she knew it. America’s Sweetheart, as she was fondly known by the movie going public, was also an astute business woman. And after a lot of negotiating, on June 24, 1916, Mary Pickford signed a two-year million dollar contract (about $43 million today) as an independent producer with Paramount Pictures. The deal also entitled her to a cut of the profits from her films. Mary not only acted in her movies, but also had a hand in the production and the distribution. It was the first million dollar contract in Hollywood history, and made Pickford Tinseltown’s highest paid star. But Mary was just warming up. She was the only female co-founder of United Artists, the film distribution company she started with (future husband) Douglas Fairbanks, Charlie Chaplin and D.W. Griffith in 1919. This move gave Pickford even more artistic control and a bigger share of the enormous profits her films generated. By 1921, Mary controlled almost every aspect of her finished films. She was also in the enviable position of having to complete only one picture a year – a luxury almost unheard of for any other actor. In the late 1920s, the movie business was undergoing a huge metamorphosis with the arrival of sound and Pickford made her last silent film in 1927. Mary’s sweet, demure image was at odds with the newly popular party girl flapper, and her movies gradually became less popular. Pickford made her last film in 1933. Beyond the aforementioned accomplishments, Pickford was also instrumental in organizing the Academy of Motion Picture Arts and Sciences and the inaugural Oscar awards that took place that year. (See: Why the Oscars are Called the Oscars) In 1929, she took home the statuette for best actress for her role in “Coquette.” Pickford also notably received a lifetime achievement award from Academy of Motion Picture Arts and Sciences in 1976. She continued producing films for United Artists until the mid-1950s until both she and Charlie Chaplin sold their shares. Mary’s take was worth $3 million (about $29 million today). After her retirement, she lived a mostly reclusive life at her home Pickfair with her third husband, Buddy Rogers. She died at her home on May 29, 1979 of a stroke at the age of 87.